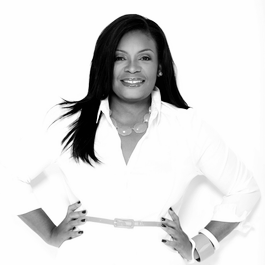 Lanada Williams is a licensed professional and clinical counselor and the CEO of Alliance Family Solutions, LLC-- a private practice in Washington, DC. She is also employed by the Department of Behavioral Health as a Technical Assistance Coordinator and Clinical Practice Support for the Department of Behavioral Health Office of Programs and Policy Child and Youth Services. Williams earned her Bachelor’s Degree in Psychology; holds a Master’s Degree in Counseling and concluded an externship in psychotherapy. Currently a doctoral student in a Counselor Education and Supervision Program specializing in training and therapy with individuals, couples, and families; Williams is also the host of her own radio show on BLIS FM, The Lanada Williams Show. Williams’ contributions to multiculturalism include serving as President of the Maryland Association Multicultural Counseling and Development (2014-2015) as well as being the Graduate Representative for NARCES (2014-2015). Her articles and opinions have been featured in publications such as HerMinds, The Huffington Post, Ebony, EmpowHER, GALTime, Young Forbes and she has also been seen on Dr. Oz. Congratulations on all that you have accomplished in your life both educationally and experientially! Will you share with us a bit about your background, for example—did you come from an academic family? One of my grandmother’s was my head-start teacher, and I attended preschool earlier than other children. This experience taught me to love school. My parents are very smart and both attended college. I was well educated and fully understood that I was loved. I grew up knowing at a very early age that I would be going “out of state” to college. I was taught to respect and understand the power education has on the trajectory of one’s life. I also had strong mentors and community leaders who influenced my behaviors in the community. I was taught the value of volunteering in high school and served as a tutor to elementary school students. It was during high school; I took a psychology course, and this introduced the career of being in the mental health profession. I made the connection at that moment and then learned more about the field of psychology while attending college and graduate school. I admired therapists that appeared on television; Dr. Phil being one of my favorites. Did you enter the field wanting to specialize in Family Systems Therapy? I wanted to work with adults, and I was always clear about that. However, I started to see that the issues went beyond the individual and existed within a system. This led me to my specialty area. What would you change about the specialty to make it better? Family therapy is for everyone. I would love to change that stigma in African-American communities about therapy. I would also make health more accessible to people in underprivileged communities. It is hard work, but we need more African-Americans in this profession, in my opinion. Many communities don’t trust health care systems, in general, due to lack of informed consent. We hear stories like the polio vaccine being developed from the cell of a black woman without her consent, and the men left untreated in the Tuskegee Study for forty years. What one thing do you hope to have accomplished by the end of your career? I want to have my own talk show and magazine. I want to have a broad audience base to discuss and share my ideas with. I currently have an online talk radio show The Lanada Williams Show on Blis.fm/lanadawillliams. The purpose of the show is to discuss the stigmas in mental health by featuring experts in the mental and wellness field. These psychoeducational conversations are just the beginning to prevention and resiliency. Is there anything else you would like our readership to know about you? I volunteer with DC Public Schools in their after-school enrichment programs and in class programing. In addition to being a trainer and therapist, I have presented at various universities and recently trained graduate students for the National Counselor Exam at Virginia Tech. I consult and present to general audiences by speaking on the topics of trauma stress of adjudicated youth and family systems. I recently completed my internship at DC Superior Courts Child Guidance clinic where I completed psychological assessment and counseling with youth involved in the juvenile justice system. I also have conducted Parenting, LGBT Safe Space Training, and Professional Development for Crisis Response Case Managers and Counselors. I love being a mother and a woman on the go! I’m also excited about life!